Try this game, which will be great fun whilst also giving young people the opportunity to learn how to use chopsticks. Ideal to do around Chinese New Year in early February. 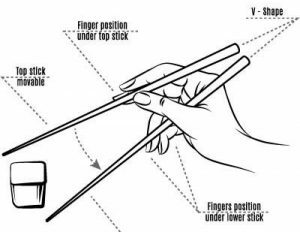 Why not show a video on how to use chopsticks before playing this game, you will find plenty to choose from on YouTube. Split the young people into teams with 3 – 6 players on a team. Get the teams to stand in a line at one end of your meeting space. Give each team a bowl of marshmallows (these may be best placed on a table). At the other end of your meeting space opposite each team place an empty bowl on a table. The objective is to get the marshmallows from one bowl to the other. The team with the most marshmallows in their bowl when the time is up wins. You play this with one player at a time or allow more than one player at a time, this will depend on how many sets of chopsticks you can acquire. Each team member may only transport one marshmallow at a time. Stabbing marshmallows is not allowed.